It also values its solid capital structure and its conservative provisioning policies. Escaldes-Engordany, 31st May 2018. Fitch Ratings, the rating agency, has maintained Andbank’s long-term rating at BBB, with a stable outlook. This rating confirms the solvency and track record of Andbank in the past year. The group has closed 2017 with the satisfaction of having met all the targets set. The net result was 30% up on forecast, confirming the excellent capacity of the business model for the generation of results. In a complex international situation, this good result is due to consolidation of the bank’s model, specialised in private banking and geographical diversification, and the confidence and trust of the clients. The Andbank Group’s international development, which began in 2000, has allowed for growth and setting up establishments in three of the five continents. Latin America, Israel and Spain are the three strategic pillars of this expansion. Clients’ assets under management were over €22,200M, reaffirming the group as leader Andorran entity by volume of assets. With interest rates at historic lows in the euro zone, investment in international growth and technological innovation, and taking into account criteria of prudence in management of the balance sheet, the Andbank Group closed 2017 with a net profit of 39.2 million euro, 30% up on forecast. The entity’s good results for 2017 are backed up by solid capital structure and a comfortable position in liquidity, over 75.80% (well above the required minimum of 40%). Solvency is also up, rising to 24.57%, being 15.94% in terms of Tier 1 according to Basel III, higher than the capital figure for equivalent European entities. The Group’s positive evolution and prospects have also been strengthened by the strong reception which the two issues of mortgage-guaranteed bonds saw on the international markets in 2017. 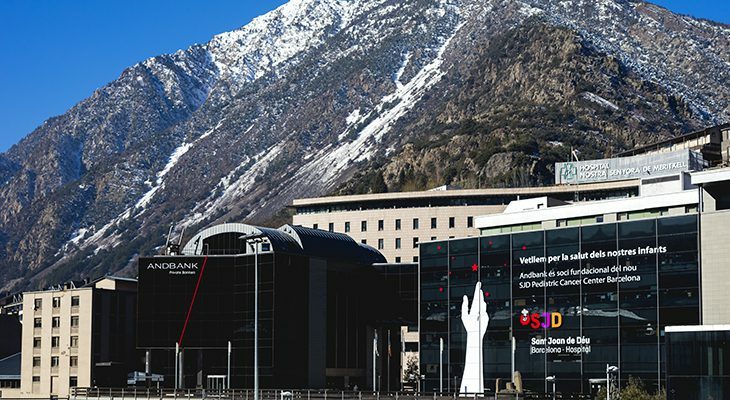 Andbank has been the first Andorran bank to undergo a revaluation on the international debt markets and issue bonds aimed exclusively at international investors. With this issue, the bank diversifies the Group’s sources of funding and also strengthens its balance. The bank’s strategy, management and risk profile maintain the assessment by the Fitch Ratings agency, which confirms Andbank at long-term rating of BBB with stable perspective. The ratings are based on growth in the activity of private banking and solid international, national and niche expansion, together with dynamic management and high liquidity. © 2019 GROUP ANDBANK. All rights reserved.